Components which are to be taken into account in pricing of loan and loan program. Or, Factors affecting the Loan Pricing. The following is a list of factors that institutions should consider in loan pricing. The cost of funds is applicable for each loan product prior to its effective date, allowing sufficient time for loan-pricing decisions and appropriate notification of borrowers. The salaries & benefits, training, travel, and all other operating expenses. In addition, insurance expense, financial assistance expenses are imposed to loan pricing. The provisions for loan losses can have a material impact on loan pricing, particularly in times of loan growth or an increasing credit risk environment. The customer options like right to prepay the loan, interest rate caps, which may expose institutions to IRR. These risks must be priced into loans. How interest is credited to a given loan (interest first or principal first) and amortization considerations may have a impact on profitability. It is the amount of capital an institution has invested in loans, which determines the amount an institution must borrow to fund the loan portfolio and operations. Some banks pay it to their borrowers/shareholders in lieu of lower interest rates. This approach is preferable to lowering interest rates. Banks must first determine its capital requirements and goals in order to determine its earnings needs. “ Proper Pricing is most essential before launching a new loan product ”. Discussion of that statement. Loan pricing is a critically important function in a financial institution's operations. Loan-pricing decisions directly affect the safety and soundness of financial institutions through their impact on earnings, credit risk, and, ultimately, capital adequacy. As such, institutions must price loans in a manner sufficient to cover costs, provide the capitalization needed to ensure the institution's financial viability, protect the institution against losses, provide for borrower needs, and allow for growth. Institutions must have appropriate policy direction, controls, and monitoring and reporting mechanisms to ensure appropriate loan pricing. Determining the effectiveness of loan pricing is a critical element in assessing and rating an institution's capital, asset quality, management, earnings, liquidity, and sensitivity to market risks. Loans should be priced at a level sufficient to cover all costs, fund needed provisions to the allowance accounts, and facilitate the accretion of capital. Specific consideration should be given to the cost of funds, the cost of servicing loans, costs of operations, credit risks, interest rate risks, and the competitive environment. Factors affecting while assessing a loan proposal. This includes a solid cash flow, the ability to live, skills of keeping accurate & timely financial records. In competitive market, which of the variable and fixed pricing as banker you would advocate? When a loan is fixed for its entire term, it will be fixed at the then prevailing market interest rate, plus or minus a spread that is unique to the borrower. Generally speaking, if interest rates are relatively low, but are about to increase, then it will be better to lock in your loan at that fixed rate. Depending on the terms of your agreement, your interest rate on the new loan will remain fixed, even if interest rates climb to higher levels. On the other hand, if interest rates are on the decline, then it would be better to have a variable rate loan. As interest rates fall, so will the interest rate on your loan. This discussion is simplistic, but the explanation will not change in a more complicated situation. It is important to note that studies have found that over time, the borrower is likely to pay less interest overall with a variable rate loan versus a fixed rate loan. However, the borrower must consider the amortization period of a loan. The longer the amortization period of a loan, the greater the impact a change in interest rates will have on your payments. Therefore, adjustable-rate mortgages are beneficial for a borrower in a decreasing interest rate environment, but when interest rates rise, then mortgage payments will rise sharply. Types of Credit facilities that a commercial bank can provide to its clients. The depositor in a current account is allowed to draw over and above his account up to a previously agreed limit. Bank charges interest only on overdrawn amount. Borrowers will be allowed to withdraw small sums of money according to his requirements, but not exceed credit and he is required to pay interest only. The holder of a bill can get it discounted by the bank, when he is in need of money. After deducting its commission, the bank pays the present price of the bill to the holder. Bank grant loans for a very short period, not exceeding 7 days to the dealers or brokers in stock exchange markets against collateral securities. Provide loans to trading, industry and agriculture sector with a period between 1 to 10 years in installment basis. It also provides working capital funds to the borrowers. Two or more banks may jointly provide large loans to the borrower against a common security. Grant credit to households in a limited amount to buy some durable consumer goods or to meet some personal needs. The other forms of loan are packing credits given to exporters, export bills purchased/discounted, import finance against import bills, finance to the self employed, credit to the public sector, credit to the cooperative sector. Why credit-worthiness of an applicant is assessed? 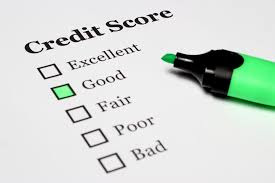 Credit worthiness is an important business and personal asset each person has to manage. This is an asset which could make or break business relationships and interestingly in some cases, personal relationships. This is a complex abstract concept that is evaluated in many ways by different entities. The factors contribute to creditworthiness is really dependent on the specific evaluation case.This article explains how one can determine a consumer’s creditworthiness and affordability, in other words, a consumer’s ability to repay debt. So what is creditworthiness? Doing a proper affordability calculation and credit risk assessment based on the credit history of the consumer will allow the credit provider to determine the creditworthiness of the consumer. Doing an investigation into the creditworthiness will also ensure that credit is not extended recklessly and that the consumer is not over-indebted. So, when is a consumer over-indebted?  The income of the customers.  The influence of any economic variables. Credit Facilities Available in Banks. The word overdraft means the act of overdrawing from the Bank account. In other words, the account holder withdraws more money from the Current Account than has been deposited in it. The loan holder can freely draw money from this account up to the limit and can deposit money in the account. The Overdraft loan has an expiry date after which renewal or enhancement is necessary for enjoying such facility. Any deposit in the overdraft account is treated as repayment of loan. Interest is charged as balance outstanding on quarterly basis.Overdraft facilities are generally granted to business -persons. These are also the facilities where, like overdrafts, a limit is set in the account not exceeding one year. However difference is that a separate “Cash Credit’ account is opened by the bank where limit is applied instead of client’s account. Banks lend money against the security of tangible assets or guarantees in the method. It runs like a current account except that the money that can be withdrawn from this account is not restricted to the amount deposited in the account. Instead, the account holder is permitted to withdraw a certain sum called “limit” or “credit facility” in excess of the amount deposited in the account. Once a security for repayment has been given, the business that receives the loan can continuously draw from the bank up to that certain specified amount. The purpose of cash credit is to meet working capital need of businesspersons. Under this type of lending, Bank takes the bill drawn by borrower on his (borrower’s) customer and pays him immediately deducting some amount as discount and commission. The Bank then presents the Bill to the borrower’s customer on the due date of the Bill and collects the total amount. If the bill is delayed, the borrower or his customer pays the Bank a pre-determined interest depending upon the terms of transaction. This type Banks lend money in this mode when the repayment is sought to be made in fixed, predetermined installments. These are the loans sanctioned for repayment in period more than one year. This type of loan is normally given to the borrowers for acquiring long-term assets. Term loan extended for short period usually up to One year is term as STL. This type of loan may or may not have specific repayment schedule. However, STL with repayment schedule is preferable. This is a pre-import finance, which is made in the form of commitment on behalf of the client to pay an agreed sum of money to the beneficiary of the L/C upon fulfillment of terms and conditions of the credit.Thus at this stage bank does not directly assume any liability, as such the same is termed as contingent liability. Payment against Documents or simply (PAD) is a post-import finance to settle the properly drawn import bills received by the bank in case adequate fund is not available in client’s account. This is a demand loan for interim period and liquidates by retiring import bills by the client. The bank shall immediately serve a notice upon the client mentioning arrival of documents with a request to arrange retirement of the same immediately. This is also a post-import finance facility awarded to retire import bill directly or under PAD as the case may be. In this case, bank may or may not realize margin on the total landed cost, depending upon banker-customer relationship. Here the possession of the goods remains with the borrower and the borrower executes ‘Letter of Trust Receipt’ in acknowledgement of debt and its repayment along with interest within agreed period of time. Like import finance DBL advances in export trade at both pre and post shipment stages. In this type of advance, standing of both opener and beneficiary of export L/C as well as standing of the L/C issuing bank are of important consideration. The pre-shipment facilities are usually required to finance the costs to execute export orders, such as: procuring & processing of raw materials, packaging and transportation, payment of various fees and charges including insurance premium. While post-import facilities are directed to finance exporter’s various requirements, which are required to be settled immediately on the backdrop that usually, settlement of export proceeds takes some time to complete. These are the loans usually involving huge amount of credit and such to reduce a particular bank’s stake. A number of banks and financial institutions participate in such credit, known as loan syndication. The bank primarily approached by arranging the credit is known as the lead or managing banks. These types of finance are made to acquire the assets selected by the borrower (lessee) for hiring of the same at a certain agreed terms and conditions with the bank (lessor). In this case, bank retains ownership of the assets and borrower possesses and uses the same on payment of rental as per contract. In this case, no down payment is required and usually purchase option is not permitted. Bank Guarantee is one sort of non funded facility. Bank Guarantee is an irrevocable obligation of a bank to pay a pre-agreed amount of money to a third party on behalf of a customer of a bank. A contract of guarantee is thus secondary contract, the principal contract being between the beneficiary and creditor and the principal debtor themselves to which guarantor is not a part. If the promise or the liability in the principal contract is not fulfilled or discharged, only then the liability of guarantor or surety arises. A project loan is treated as a term loan. Discuss why. Discuss the risks you anticipate in such financing. If not managed properly, the environmental and social risks can result in disrupting or halting project operations and lead to legal complications and reputation impacts that threaten the overall success of the project. Because anticipated project cash flows typically generate the necessary resources to repay the loan, any disruption to the project itself, regardless of the financial standing of the sponsoring companies involved, poses a direct financial risk to the financial institution. A contract of guarantee is thus secondary contract, the principal contract being between the beneficiary and creditor and the principal debtor themselves to which guarantor is not a part. If the promise or the liability in the principal contract is not fulfilled or discharged, only then the liability of guarantor or surety arises.